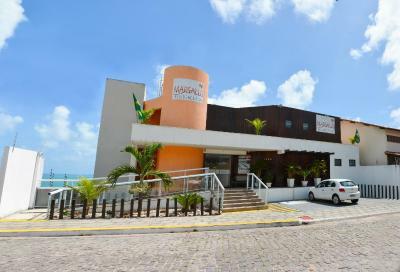 Lock in a great price for Marsallis Praia Hotel – rated 8.3 by recent guests! The best thing about this hotel is the location. The beach is less than a 5 min walk and there’s plenty of nice food options within a few min walk (both budget and more expensive ones). The buffet breakfast is simple but there’s also the option to order freshly made food/smoothies from a little menu. 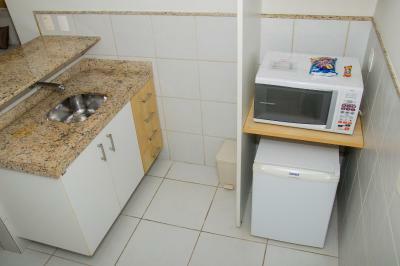 The hotel room has a little kitchenette with a fridge and a microwave, as well as cups and plates. 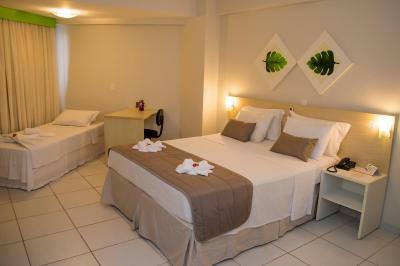 The staff is very helpful and the rooms are clean. 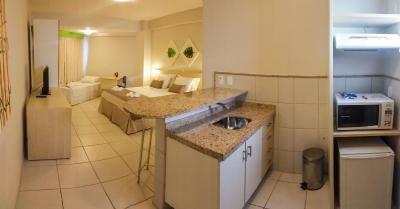 The room was big and comfortable, shower was good and the air con was excellent. 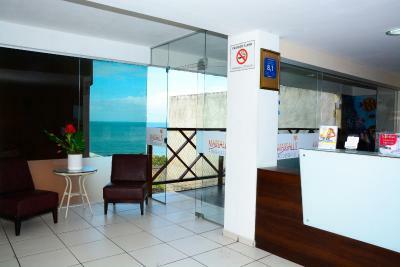 The hotel is a short walk to the beach. 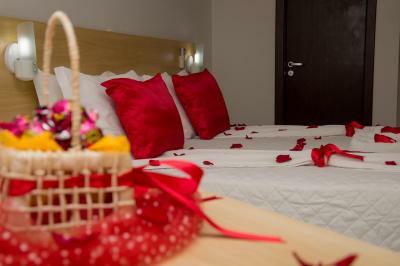 Muito boa, bons Serviços e um lugar privilegiado, perto de tudo. Tem elevador e um excelente café da manhã, funcionários muito bem orientados e educados. 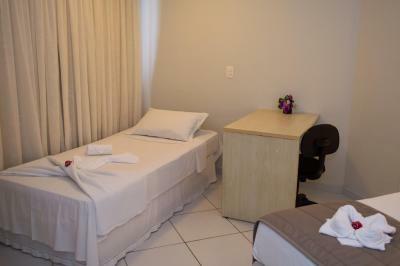 Minha melhor hospedagem no ponto de vista pessoal. Gostei de tudo, atendimento maravilhoso, localização boa, café da manha muito bom, o quarto q fiquei dava pra ver o mar e era super confortável e limpo.. voltarei novamente. 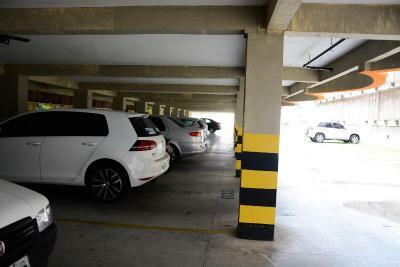 Ótima localização,bom atendimento e bom custo beneficio. Los colchones están un poquito vencidos. Creo que es tiempo de cambiarlos. Se todas formas no afectó significativamente al descanso. 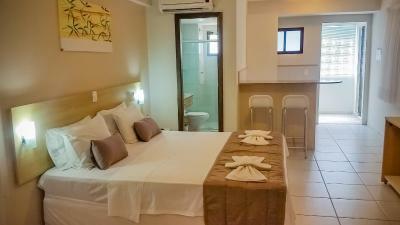 Gostei muito super confortavel amplo café da manhã bom proximo a praia voltarei novamente. 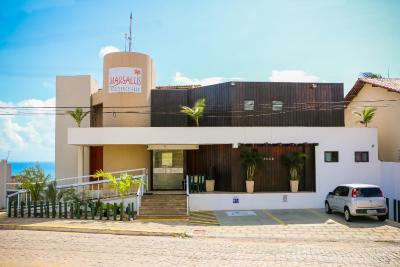 Marsallis Praia Hotel This rating is a reflection of how the property compares to the industry standard when it comes to price, facilities and services available. It's based on a self-evaluation by the property. Use this rating to help choose your stay! 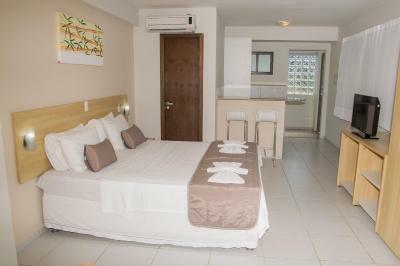 One of our top picks in Natal.Only 900 feet from Ponta Negra Beach, this 3-star hotel invites you to sunbath by the swimming pool while admiring the sea from a pleasant deck with wooden floors and a panoramic sea view. Free WiFi and breakfast are offered at Marsallis Flat Ponta Negra. 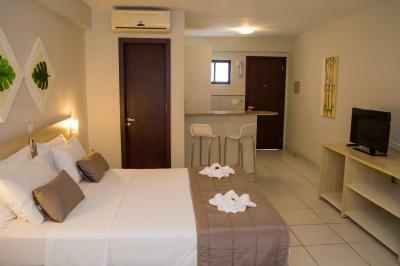 Marsallis Flat Ponta Negra offers air-conditioned accommodations with equipped kitchens, balconies, cable TVs and other amenities. 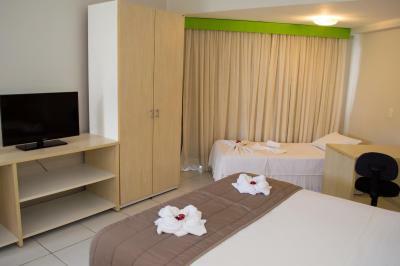 In addition, the hotel provides a 24-hour reception desk, room service, laundry services and free parking. 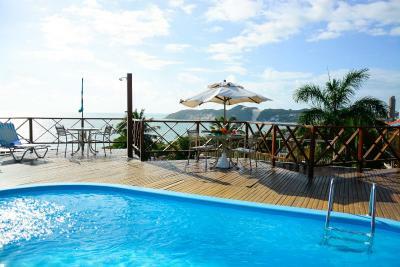 The property is 300 feet from Roberto Freire Avenue and 1.2 mi from Morro do Careca. Aluízio Alves International Airport is 19 mi away. 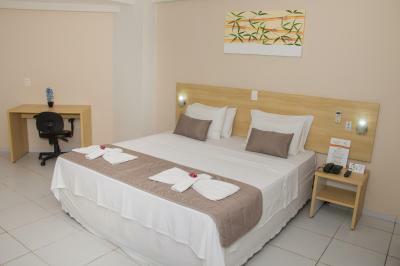 When would you like to stay at Marsallis Praia Hotel? Boasting a balcony, apartment features a sofa, an equipped kitchen and a bathroom. 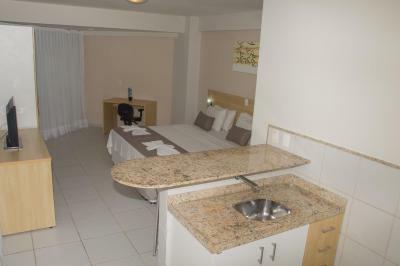 Boasting sea views, this apartment features an equipped kitchen and a balcony. Private bathroom comes with a hot shower. 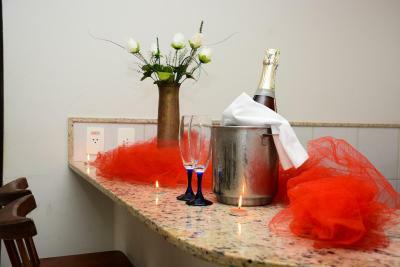 This room includes a complimentary bottle of sparkling wine and chocolates. 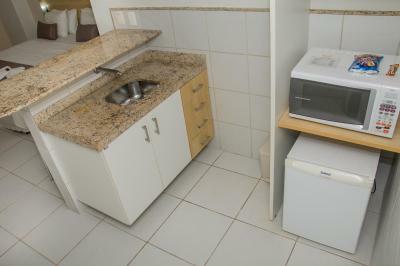 This apartment features air conditioning, seating area and flat-screen TV. 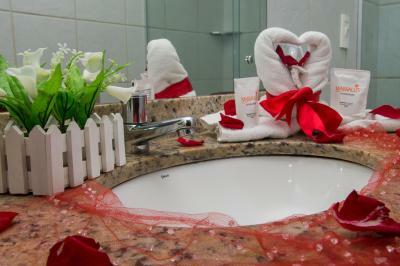 House Rules Marsallis Praia Hotel takes special requests – add in the next step! 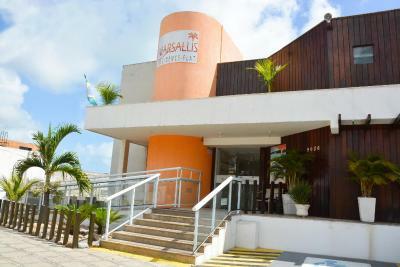 Marsallis Praia Hotel accepts these cards and reserves the right to temporarily hold an amount prior to arrival. 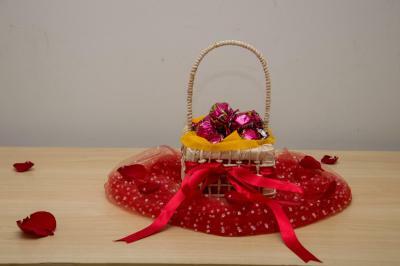 Please note tha this property charges an extra service tax of 10% (optional). 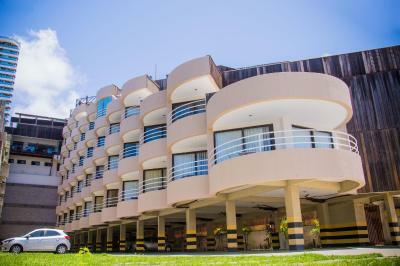 It’s a basic and impersonal hotel, and the official photos make it look a bit nicer than it actually is. Some facilities seem a little old and a bit worn down, but that being said, the place is overall clean and offers ok value for money. The wifi is ok, but works better in the balcony (closer to the reception). Amazing place. Service very nice and helpful. Everything at the highest level. 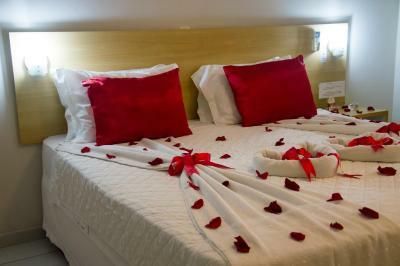 Room was very bad maintained. Airco didnt work. Roof was leaking with a lot of water on the floor. Balcony doors were stuck.